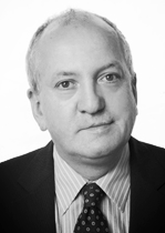 Eugene was called to the bar in 2005 after practising as a solicitor in both private practice and local authorities. He has experience of prosecuting and defending in criminal cases both in the Magistrates’ Court and the Crown Court over a range of offences ranging from road traffic matters to other serious matters such as grievous body harm and property offences. Eugene’s experience ranges from cases in the magistrates’ or county court, and tribunals, all the way up to the Supreme Court where he represented a client in a housing matter and had the law changed. Eugene’s practice is predominantly in housing law where he has had great success as far up as in the Supreme Court in cases which have helped shape the law today. Alongside his housing practice Eugene also practices in Immigration and Criminal work, where he both defends and prosecutes. Where Legal Aid is not available to a client for a criminal matter Eugene is happy to offer you a fixed fee for the case. Eugene can take instructions directly from clients and, if he believes it is appropriate, he is also able to conduct litigation for his clients in the same way a solicitor does. Eugene also brings disrepair cases for tenants against landlords. He is able to offer his clients a conditional fee agreement (no win no fee) if there is disrepair at their home. In addition to his criminal law and disrepair expertise Eugene can also represent clients at the immigration tribunal. He is happy to do this on a fixed fee arrangement. He has a particular expertise in representing clients where they have been refused visas to visit families and friends in the United Kingdom. Eugene is a CPS Level 1 Panel Advocate.